By Zack Quaintance — Someone pinch me, I must be dreaming...this week’s comics seem like they were precisely custom-tailored to my tastes. Indeed, many of the books that I gush about on the regular (which is admittedly a long wish) have new issues coming this week. That includes a long-awaited return of Greg Rucka and Michael Lark’s Lazarus Risen, the steady drumbeat of horrifying excellence that is Immortal Hulk, and top-tier creator-owned books from Image, be it Monstress or Criminal. There’s a lot of my old favorites among the Top Comics to Buy for March 20. There are also some notable new books arriving too. I’m thinking specifically here of Dark Red #1 from AfterShock Comics (a rapidly rising indie publisher) and Invisible Kingdom #1 from Dark Horse. The latter is a trippy visual tour de force laced with complex ideas about everything from commerce to religion (see our Invisible Kingdom #1 review) while the former follows a vampire who works at a rural gas station in Trump’s red state America (see our Dark Red #1 review too). It’s all good stuff. So, without further adieu, on to this week’s comics! NEW STORY ARC! "FRACTURE I," Part One LAZARUS returns in an all-new prestige format! New series, new story arc, new size, and a new quarterly schedule! Why It’s Cool: Lazarus is one of the best creator-owned comics of the modern era. It’s complex, suspenseful, immersive, and compulsively readable. Now, the book is transitioning to a prestige quarterly format, which means fewer issues per year but just as much content (hopefully). In this first issue back, the comic hasn’t lost a step at all. In fact, I’d argue that it’s actually better than it used to be in monthly installments. Rucka and Lark are veteran creators who make compressed comics that are rewarding to read both in installments and trade. As such, this book hits certain story beats within each issue. Having the extra pages of the quarterly format allows them to do much more, like a TV show expanding from 30 minutes to an hour. It’s really something, and this series gets my full recommendation. Simply put, if you love comics you really ought to be reading Lazarus. Why It’s Cool: In this new volume of Criminal, you can practically feel writer Ed Brubaker and Sean Phillips fighting to change the narrative that monthly comics are dead. They do so in a couple of ways in this issue. First of all, they wrap up an incredible two-part story that they started last month, making it so it fits into the larger arc of this comic while also standing on its own as a satisfying bit of graphic sequential storytelling. Second, they make it a meta story in the best way, one steeped in comics history and culture that literally reminds the reader that comics have been dying since 1954. In the hands of lesser creators, this could feel preachy, forced, or even self-indulgent. But a master team like Brubaker and Phillips pulls it off flawlessly. Read about Criminal’s previous volumes! Dr. Leonard Samson is a gamma mutate and part-time superhero who recently came back from the dead. He's been wanting to discuss that with an old patient of his... But he's not here to see Bruce Banner. Take a seat on the couch, IMMORTAL HULK. It's going to be quite a session. 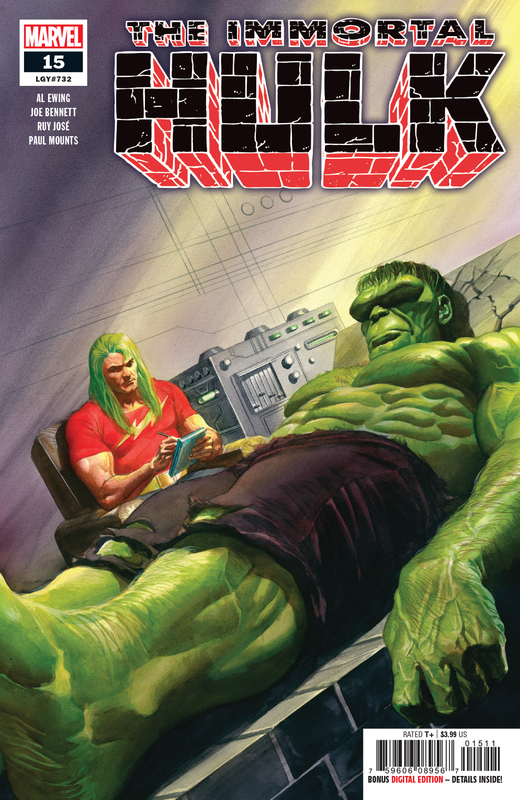 Why It’s Cool: Phew, that last issue of Immortal Hulk was a doozy. But, really, I could probably say that after every issue of Immortal Hulk. This is, simply put, Marvel’s best comic in years. The concept and creative team from the start have been sound, but you can say that about a lot of Marvel’s books. What really sets Immortal Hulk apart is that it hasn’t ceeded any quality in the service of deadlines or events or anything. It’s been as unmovable in that regard as the Hulk himself. 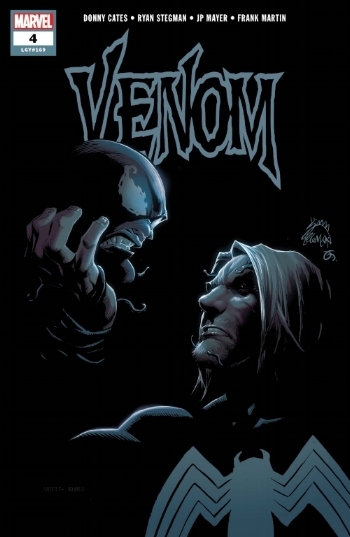 At the same time, it’s pushed into increasingly new and horrifying plot territories, keeping the feeling of unpredictable storytelling tension that powered its earliest issues. One way the story has done that is withholding much of the Hulk’s ample supporting cast before bringing them in slowly one by one. This issue looks to be the one in which Doc Sampson enters the fray. So, hurray for that. One last note: I only read this book after dark and strongly suggest you do the same. Why It’s Cool: Love! War! Family! It’s all here in the latest issue of what has fast-become the most grandiose arc of Monstress to date, which is really saying something when you think back to the opener. 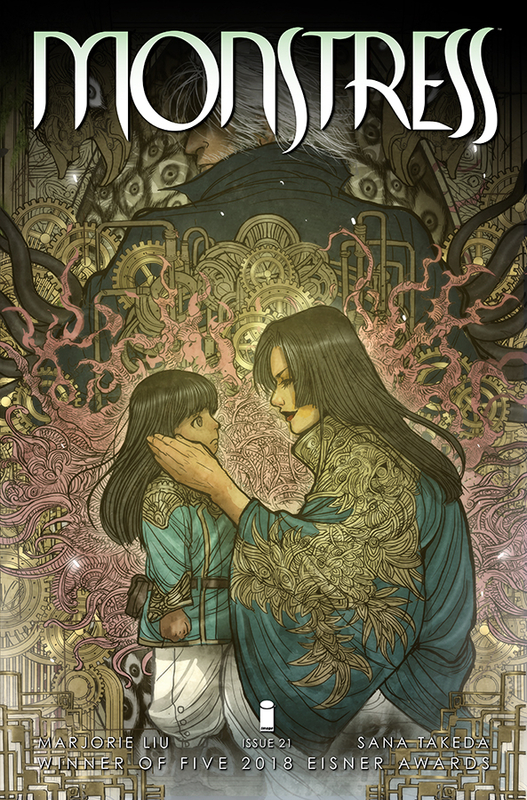 Monstress #21 really has an overload of the things that make a single installment of a long-running story pop: new revelations, new characters, the promise of action to come soon, a clear push toward the climax, and a set of artwork as varied as it is stunning. I’m constantly impressed with the work Sana Takeda has done with this book, yet I’ve rarely seen her hit such a versatile range of visuals as she does in this issue, be it the adorable renderings of Maika as a child to the intricate character and equipment designs we get in the modern day. Writer Marjorie Liu also writes some of the best and pithiest dialogue for her heroine yet, bantering as she does with a key figure in her life (no spoilers). From start to finish, just a stunning issue. Why It’s Cool: Last month’s The Wild Storm #20 was the best issue of this series to date. 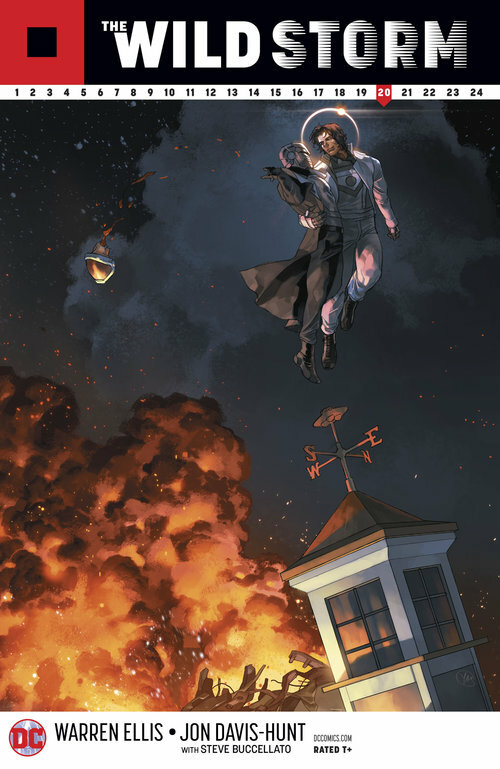 After 19 issues of slow burn, the creators finally unleashed Apollo and The Midnighter, giving nearly the entire issue to a prolonged action sequence followed by a bit of romance. Was it fan service? Perhaps a little, but it was earned and also executed in the best possible way. This issue brings the focus back to some of the other characters, but make no mistake—the march to the assembling of The Authority continues, and oh what a thing that will be when it happens. There’s only three issues left. Two years ago I’d have guaranteed that this was building into the launch of a new The Authority comic, but with DC scaling back publishing plans under its new corporate owners, I’m inclined to estimate these three issues will be the last we see of these characters for some time. But, hell if I’m not going to savor every page of it. With a writer like Warren Ellis collaborating with an artist like Jon Davis-Hunt, this comic is just too good. Check back to the site later this week for reviews of Lazarus Risen #1, Criminal #3, and more! WildStorm is really 25 years old now. Really. By Taylor Pechter — The 1990s was a consequential decade for comics, a decade of deaths and broken backs, of shoulder pads and huge guns. 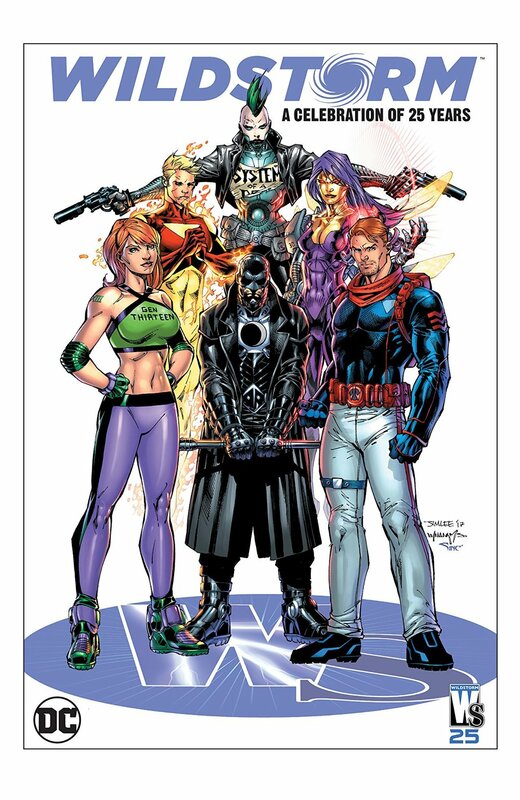 It was also the decade that gave us WildStorm Productions, an imprint created by then-rising star Jim Lee, who jumped ship from Marvel and DC along with other big-name artists following disputes over creators’ rights. When WildStorm began in 1992, it could have been dismissed as just more large guns, heavily-detailed art, and not much focus on story. After the company grew in popularity, though, Lee sold it to DC. With this sale, DC editorial took the universe under its watch, ultimately overseeing great experimentation in storytelling spearheaded by writers such as Warren Ellis and Joe Casey and artists such as Bryan Hitch, whose worked helped redefine what comics look like. Now get ready because today we’re jumping head first into the defining era of WildStorm, looking at the themes and visuals from the imprint that have had such a lasting impact on the comic book industry today. StormWatch #37 brought Warren Ellis into the WildStorm Universe. The year is 1997. The comics speculator market bubble has burst and sales of WildStorm books have stagnated. Enter Warren Ellis, a British writer who had done some work at but was not on many fans’ radars. 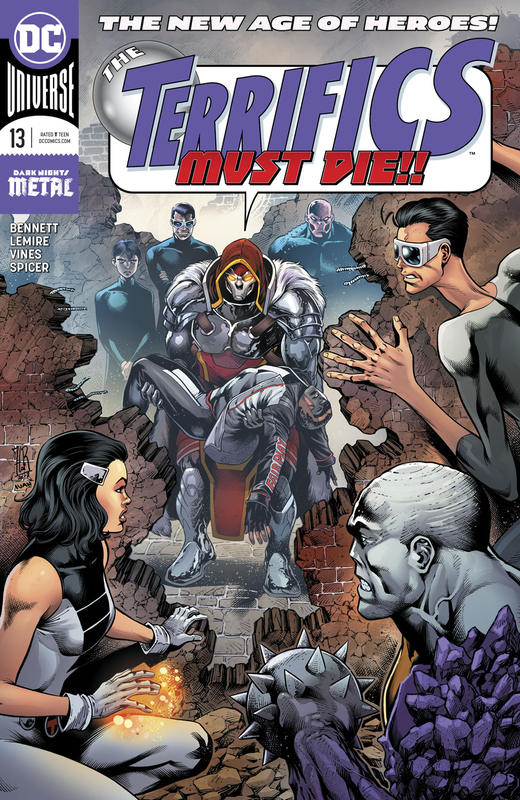 With his run on Stormwatch starting at #37, however, that quickly changed. Ellis would completely redefine the team, splitting it into three squadrons: Prime (defense against superhuman threats), Red (members with destructive powers for deterrent displays), and Black (undercover black ops). As the run started, Ellis introduced us to his thematic interests via the words of Frederick Nietzsche, I want to teach men the meaning of their existence; which is the Superman, the lightning from the dark cloud that is man. Ellis’ run incorporated themes of corruption of power, the relationship between man and superhuman, and ultimately how supherhumans change a world. These themes are primarily conveyed through StormWatch leader Henry Bendix (alias The Weatherman), the StormWatch Black Team (Jenny Sparks, Jack Hawksmoor, and Swift), and The High and his Changers. As the run progressed, StormWatch’s prominence grew while Bendix became madder with power, coming to view his team as the end-all, be-all of planetary surveillance and defense, akin to worldwide secret police. This eventually leads him down a path of murder and a removal from his position, with former field leader Jackson King (alias Battalion) taking over in his stead. Meanwhile, the members of StormWatch Black personified rebellion, especially their leader, Jenny Sparks. As one of the proclaimed century babies, Sparks lived through the highs and lows of the 1900s, coming to be known as The Spirit of 20th Century. She’s also seen firsthand how superpowers changed society, with adventures through the decades as a solider in the wars and later a member of the shady Royal Space Program. This history also informs her relationship with John Cumberland (alias The High). The High is the main ideological lynchpin of the run, with his actions in the story Change or Die reflect the theme of the run, as The High actually says, We are Superhumans, just as your modern crimefighters and Covert Action teams. However, we feel a different responsibility than they do… They try to save the world, but make no effort to change it. This speaks to the somewhat hypocritical nature of the modern superhero. As time passed, StormWatch dissolved due to infighting, Bendix succumbing to insanity, and SkyWatch (the team’s satellite command center) being set upon by alien infestation. With most of the team dead, field commander Nikolas Kamarov (alias Winter) made the final decision to the throw the station into the sun. StormWatch was dead, but from its ashes rose a new force, an Authority that would either save the world, or rule it with an iron fist. Out of the ashes of StormWatch rose The Authority, a team formed by former StormWatch Black operatives Jenny Sparks, Jack Hawksmoor, and Swift. It also included Apollo and Midnighter, The Engineer, and The Doctor. The Authority’s story is broken up into three four-issue arcs, which focus on innate fears with society: the fear of terrorism, the fear of foreign invasion, and the fear of the unknown. Through The Authority, Ellis wove a tale of a team of powerhouses trying to save the world and to also change it for the better. However, their goals came at a cost. What Ellis also did was break down the glitz and glamour of a superhero team. The Authority is brash, arrogant, and—most of all—violent. Cities were leveled and an entire alternate Earth was destroyed. The Authority, however, considered it just part of the job, losses to make the world a better place. Toward the book’s end, the team eventually faced an alien entity that was blocking out the sun. Jenny Sparks shocked its brain and the day was won, but at a cost that shook the team to its core. As the century wound down, so did the life of Jenny Sparks. After 100 years of being a planetary defense mechanism, she died at the stroke of midnight January 1, 2000, in the arms of Jack Hawksmoor. With a new century, however, came a new generation of defenders. The Art: While Ellis’ scripts were certainly groundbreaking, so too was the artwork of Bryan Hitch, inker Paul Neary, and colorist Laura Depuy (later Martin). With wide panels, splash pages galore, and cinematic action, Hitch was, and still is, the main purveyor of widescreen comics art. With Neary’s clean inks and Martin’s luscious colors, The Authority is still one of the most visually influential books in modern comics. Casey and Phillips WildCats run was short but excellent. What happens to covert teams that don’t have a war to fight? What happens when a teammate dies, splintering the rest of the team? Or, when a team’s leader wants to transcend to a higher level of living, one that requires he be killed? In 1999, writer Joe Casey and artist Sean Phillips took over Wildcats and set out to answer these questions. After a mission gone wrong, Zealot is killed and Grifter is left reeling. Grifter has become a washed-up shell of his former self, trying to find answers about Zealot’s death. On the other end, Lord Emp (known to Earth as Jacob Marlowe, leader of the Wildcats), is asking his long-time rival Kenyan to kill him so he can ascend. Kenyan, however, instead kills himself, and Spartan is forced to kill Emp. In the aftermath, posing as Emp’s great-nephew Jack Marlowe, he is bequeathed HALO Industries and inherits Emp’s fortune. Meanwhile, Priscilla Kitaen (alias Voodoo) and Doctor Jeremy Stone (alias Maul) are living together. Jeremy has locked himself in his lab to to find a cure for a disease. That’s a lot, to be sure, but overall Casey tells a story about destiny and legacy. Spartan has to deal with running HALO and guilt for killing Emp, which is easy enough because as a synthetic humanoid, he feels no emotion. This, however, conflicts with Grifter mourning the loss of his trainer and lover. Spartan also has to deal with having the Marlowe name, a target since Emp had many enemies. After Pris is nearly murdered by superhuman serial killer Samuel Slaughterhouse Smith, she is visited by a Daemonite, of which she is a half-breed. With that meeting she fully comes to terms with her heritage. Optimism reenergized, she then looks to a brighter future, alongside Jeremy. The Art: Joining Casey on this book is noir art master Sean Phillips. With deep shadows, imposing figures, and brutal action, Phillips creates a foreboding tone to perfectly match Casey’s script. Sadly, the book only lasted two years before being cancelled but returning a year later as Wildcats Version 3.0. In a short time, however, Casey and Phillips crafted one of, if not the defining runs on Wildcats. It’s a strange world. Let’s keep it that way. This is the mantra for Warren Ellis’s magnum opus, Planetary. A decade in the making, Planetary revolves around a four-person team of mystery archaeologists who explore the world. This team consists of Elijah Snow, our ride along character Jakita Wagner, The Drummer, and Ambrose Chase. With Planetary, Ellis constructs a story that revolves around genre and—more importantly—pop culture. This journey through 20th century pop culture is seen through the eyes of Elijah, who like Jenny Sparks is one of the century babies. The series has one main through line, but each issue also tackles a certain genre, breaking it down and showing how it has changed the world. These stories included a ghost cop out for revenge in Hong Kong (Dead Gunfighter); the somber Vertigo-tinged To Be In England, In The Summertime; the hypocrisy of vigilantism in The Torture of William Leather, and the metaphysics of superheroes in Zero Point. In them all, Ellis demonstrates how the aspects of various genres has affected society through use in pop culture. While the macro exploration of genre and pop culture is the book’s driving force, the heart of Planetary is the micro exploration of Elijah Snow as a character, as well as how he becomes more in tune with the world. Snow’s motives, while staying somewhat consistent throughout the first half of the series, shift as we approach the final act. As readers, we are Elijah, not just in terms of the world Ellis is crafting but also the world outside our window. There is so much to explore here, and we’ve barely scratched the surface. Twenty years after he helped redefine the WildStorm Universe with StormWatch, Warren Ellis is doing it again with The Wild Storm, which just released issue #16 this week. This time, Ellis is writing a stripped down, no frills, corporate espionage tale focused on three organizations: tech giant HALO (run by Jacob Marlowe), black ops intelligence agency International Operations or IO (run by Miles Craven), and secret space program Skywatch (led by Henry Bendix). This is an entirely new story, rather than a continuation of past titles. The main conflict in this series is rivalries between organizations, with the story asking how Earth would react if it was ruled by these power structures. There is, of course, a twist. While IO is interested in Earth and its resources, Skywach is more interested in ruling space, even going as far as colonizing other planets. After Bendix starts getting a vested interest in Earth’s resources, IO starts to retaliate. Caught in between this corporate battle is a team of rogue IO and Skwatch agents who have formed their own covert action team, a Wild CAT. Their objective is to stop this war, fearing it will tear the planet apart. The Art: Joining Ellis on art duties is Jon Davis-Hunt, whose simple yet dynamic style lends to the gritty espionage themes and to the frenetic action that is wonderfully brutal. His linework combines with the gorgeous colors of Steve Buccellatto. With stripping down the universe and giving it a more modern feel, this creative team has given new life to characters Ellis made his name writing. In conclusion, following its start in the ‘90s, WildStorm went grew from the typical extreme fare of the decade into one of the most fertile grounds for storytelling in all of superhero comics, doing everything from looking at how superheroes have changed the world to how a team can survive in a world that doesn’t accept them. WildStorm also has a history of art that has redefined the style of comics, from the widescreen destruction of The Authority by Hitch, to the noir stylings of Wildcats by Sean Phillips, or the versatility of John Cassaday in Planetary. These artists helped raise a new generation, also contributing to the creation of the modern comics event. Thank you all for joining me on this journey—hopefully you too will now jump into the eye of the storm.